We are excited to announce that we will open earlier than ever this year! Join us on April 13, 14 & 20 for Easter Egg-Citement on the farm. Learn more HERE. Please Like us on Facebook, and follow us on Twitter and Instagram to keep current on activities and special promotions offered at our farms. Our sweet, juicy strawberries ripen in the spring and are our first pick-your-own crop. 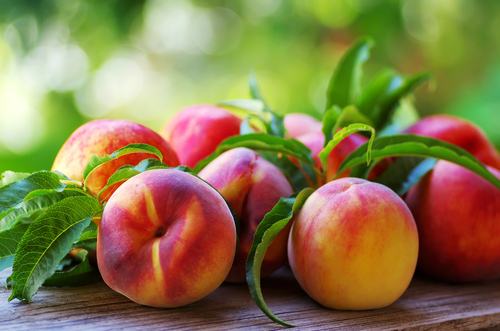 Bursting with sweetness, Eckert's peaches herald the arrival of summer. The Eckert Family selects only the best-tasting peach varieties. Eckert’s plump, sweet blackberries typically ripen late June through July. For more than 100 years, the Eckert family has been growing apples. Available mid-August to mid-October. You will find the perfect pumpkin at Eckert's, whether you are looking for a Jack-O-Lantern for the home or for recipes. Come Visit the Eckert's Country Store & Farms in Versailles, Kentucky! From Fresh Cider Donuts to Private Parties, Year-round there is always something fun for families to do at Eckert’s!